The Chicago Food Depository and the Salvation Army of Chicago are ready to feed families and individuals in need this Thanksgiving around the Chicagoland area. 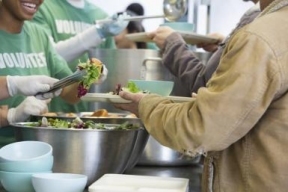 These organizations are also in need of volunteers to work in their shelters, soup kitchens, and pantries. 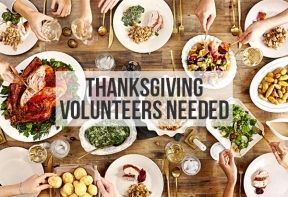 Whether it is prepping meals, delivering food, or packing lunches your time is greatly appreciated. We provided a list of agencies around Chicago in need of your time. The Salvation Army Harbor Light Center will host Thanksgiving dinner meals for individuals, families, and seniors in need this year. Nutritious meals will be provided for homeless families and individuals who would otherwise go without Thanksgiving dinner this holiday. The Thanksgiving dinner will take place at the Salvation Army Freedom Center, 825 N. Christiana Ave. If you are interested in volunteering, call 312-667-2204.